Qods Forces Commander Qassem Soleimani (green hat) and Popular Mobilization Forces operational commander Abu Mahdi al-Muhandis (black hat). Newly released interrogation files document how Iran is playing a long game inside Iraq, using various key figures to push its agenda. The files, some of which are redacted, are summaries of the interrogations of Qayis al-Khazali. Today, Khazali is the leader of Asaib Ahl al-Haq (the League of the Righteous), a dangerous Iranian-sponsored, Iraqi Shia militia. Some of the most interesting details concern how Iran, operating though its Islamic Revolutionary Guards Corps (IRGC) and the Qods Force, cultivates leaders, maintains contact and support with them, and helps them rise from marginal players to central figures. 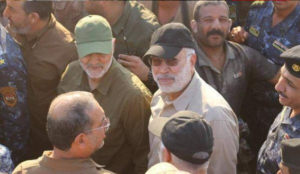 Two men discussed by Khazali — Abu Mahdi al-Muhandis and Abu Mustafa al-Sheibani — went from being small players immediately after the US-led invasion, to leading the Iranian-backed Popular Mobilization Forces, one of Iraq’s most powerful and influential military branches. Iran had planned for the pair to take on leading roles as early as 2003. The Khazali interrogation documents were first reported by The Wall Street Journal. The documents were published in full online by the American Enterprise Institute (AEI). Khazali was an important figure in the Shia insurgency against Coalition Forces before he was captured by the British in 2007. He was behind the kidnapping and murder of five US soldiers in Karbala in early 2007. 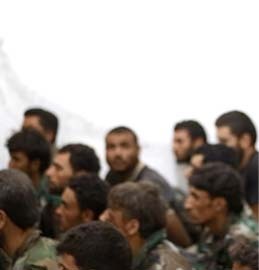 The US military handed over Khazali, his brother Laith, and hundreds of fighters to the Iraqi government in 2010. The Iraqis let them go in exchange for a promise to disband their militia and join the political process. Khazali never disbanded his militia. In one of the interrogations, Khazali was asked about the various groups known as Hezbollah that operate in Iraq. One of the organizations was the “Hezbollah Battalions” — more commonly know as the Hezbollah Brigades, a US-listed Foreign Terrorist Organization. Later, Khazali described Muhandis and Sheibani as “well trusted by Iran, more so than ISCI [Islamic Supreme Council of Iraq] and Badr [Badr Organization].” Iran “trusts” Sheibani and Muhandis “the most with attempting to implement the Iranian agenda in Iraq,” Khazali told his interrogators. “However Abu Mustafa al-Shaybani and Abu Mahdi al-Muhandi [sic] have relatively little effect over the situation in Iraq among the Shi’a faction,” the interrogation report noted. 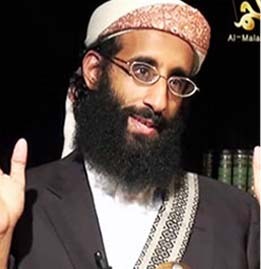 Sheibani led an eponymous network, which sponsored attacks for the so-called Special Groups. 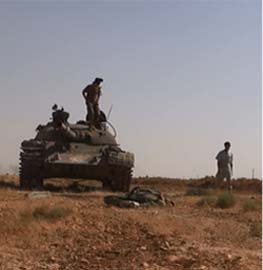 The Special Groups were Iranian-backed Shia militias that focused their attacks on Coalition Forces, as well as Iraqi government and military officials opposed to Iran’s agenda. The Sheibani Network also executed its own operations. Sheibani was listed by the US government as a threat to Iraqi security in 2008. The US sanctioned Muhandis in 2009, describing him as an adviser to General Qassem Suleimani, the commander of Iran’s Qods Force. As a senior Qods Force operative, Muhandis created a group of trainers to support the Special Groups. “The groups received training in guerilla warfare, handling bombs and explosives, and employing weapons–to include missiles, mortars, and sniper rifles,” the Treasury Department said in press release. Khazali was technically correct when he said Sheibani and Muhandis had little influence “among the Shia faction” during his interrogation in May 2008. At the time, the pair commanded hundreds of fighters, while the Mahdi Army, which was also supported by Iran, was estimated to have over 50,000 men. But the interrogation report indicates that Iran always played multiple hands, as the “Iranians are patient and calculating,” supporting more than one party at a time. “Iran tries to play all of the cards in Iraq, or, in other words, Iran tries to use all possible routes in order to control Iraq,” the report reads. Iran’s plan to have Sheibani and Muhandis lead the Sadrists failed. However, the two are among the most influential Iranian-backed Shia leaders in Iraq today. And they are playing similar roles to those Iran mapped out years ago. Instead of leading the Sadrists, they lead the Popular Mobilization Forces (PMF), with Muhandis playing a more “political” role and Sheibani serving in a “military” capacity. Muhandis is now the “deputy chairman” of the PMF, as well as the commander of Hezbollah Brigades. In reality, he is the unit’s leader and operational commander. The PMF began as a grouping of Shia militias (mostly loyal to Iran) that came together to fight the Islamic State. Today, it is an “independent military formation” in Iraq’s security forces that reports only to Iraq’s prime minister. The PMF is modeled after Iran’s Islamic Revolutionary Guards Corps (IRGC). 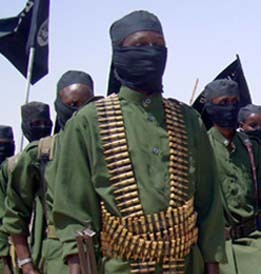 Sheibani continues to play an influential role in the PMF. He is the military commander of the Kata’ib Sayyid al-Shuhada, which fights in both Iraq and Syria, and has threatened to send fighters to back the Houthis in Yemen. 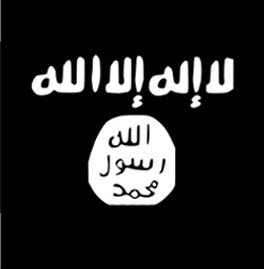 Some considered Khazali to be a small player in the Shia insurgency in Iraq. As his interrogations in 2008 made clear, however, he played a significant role in boosting the Iranian-backed militias. Khazali was feted by Soleimani and other important Iranian figures when he visited Tehran before his capture in 2007. He currently leads a prominent Shia force in Iraq. 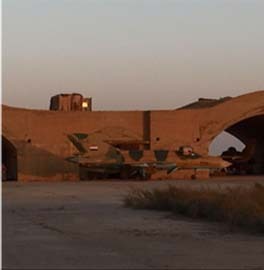 Iran has played a patient game in Iraq by cultivating multiple commanders. If one hand loses, the Iranians have others to play — a point that comes through in Khazali’s interrogation logs. Iran backed various militia leaders, even when they were pursued by the US military and Iraqi government from 2007 to 2009 and were on the brink of defeat. Today, figures such as Muhandis, Sheibani, and Khazali are not close to defeat. Instead, they are pushing Iran’s agenda inside Iraq. More fruit from the brilliant warm winning those hearts & minds policy of catch and release. Say what you want about the Russian policy in Syria but the leadership or potential leadership they capture always seem to never make it out of jail while those that reconcile are thrown into the front as cannon fodder to prove themselves. That’s some great reporting gentlemen. Incredible how the Iranians just kind of walked to the Mediterranean sea, all but unchallenged. Muhandis and Soleimani have too much American blood on their hands to be ALLOWED to live! Iraqi’s also have lost way too many to these thugs and murderers.